Planning for a new baby can seem overwhelming, especially if you are planning for the arrival of your first born. And planning for newborn photos on top of a life changing event can seem impossible…. But let me tell you… it doesn’t have to be! There are different options when planning for newborn photos and most photographers will book as far out in advance as you’d like. I like to plan tentatively around your due date and just wait until we hear about the arrival of your baby. All my newborn photos are done anywhere from the first few hours of birth all the day up to 14 days after the birth. 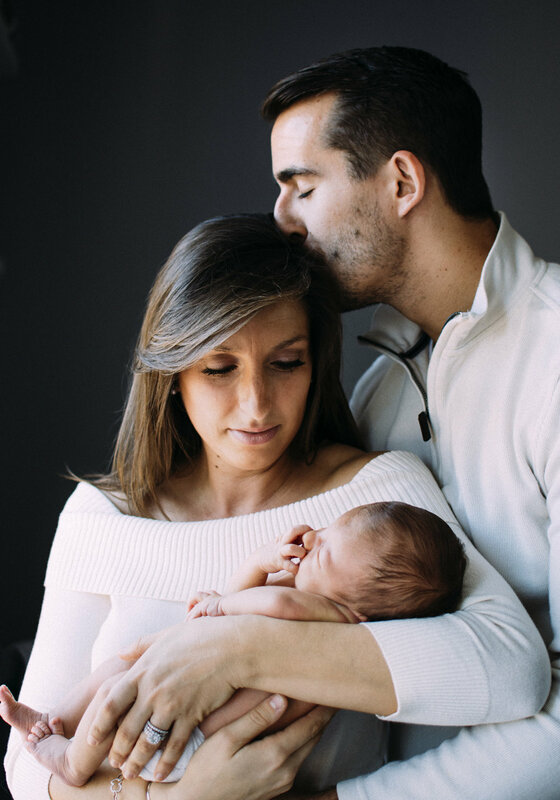 I will also take the photos wherever you feel comfortable with me taking them, whether this be at the hospital immediately after birth or at home in the comfort of your own home a week or so after the birth. The choice is completely up to you! I believe in making the process of taking photos as stress free on everyone involved. I want this to be a very positive experience, and I will never ask any of my clients to do anything that they do not feel comfortable doing. I like to act as the “fly on the wall” in my sessions and work around you and your family interacting, capturing very natural emotions and expressions. If you are expecting or know anyone who is expecting and would like to talk to me about booking a session, please feel free to contact me anytime!